Our latest review is from a couple that have now lived at Orchard for nearly 2 years and this is what Viv and Tom had to say about their time on the park so far. “We have lived at Orchard Park for 2 years now. We chose the Oakgrove Clarendon for our new home and took advantage of the full furniture package. We have been very pleased with the home and impressed with the quality of the furniture and fittings. 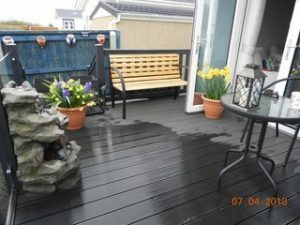 We have the benefit of a raised decking at the back of our property and have spent many hours relaxing on it watching the wildlife around us. We were one of the first residents on King Acre and have enjoyed watching the community grow around us. There is now a lovely community spirit and the neighbours are all very friendly.